HomeCooking AppliancesInduction CooktopInduction Cooktop or Gas Stove: Which one should you Choose? Induction cooktops are the new talk of the town. Though gas stoves are still in use, many homeowners are switching to an induction cooktop. The main difference between a traditional gas stove and induction cooktop is instead of thermal conduction, induction cooktop uses magnetic induction through electricity. However, when it comes to choosing between induction cooktop and gas stoves, many homeowners find it difficult to decide the best option for their kitchen. So, in this blog, we discuss the difference between induction cooktop and gas stove to help you make the right decision. What Makes Induction Cooktop Different from Traditional Gas Stove? The induction cooktops from some of the renowned brands such as KENT come with pre-set menu options. The feature touch buttons make using the appliance a breeze. All you need to do is select the desired option from the pre-set menu. Starting from boiling milk, making chapatis, curry, dosas to soup, there is a lot that the induction cooktop can do with a single touch. In hot and humid places, cooking in the traditional gas stoves is a hassle. The heat generated from the gas stoves makes cooking extremely uncomfortable. Induction cooktops, however, don’t generate a lot of heat so that you can cook in comfort. Many people are unaware of the fact that an induction cooktop is faster than a traditional gas stove. In fact, some of the induction cooktops can boil water way faster than a traditional gas stove. In addition, induction cooktops are also an economical option compared to traditional gas stoves. The reason is induction cooktops only heat the cookware that is placed on it. The glass-top surface of induction cooktops makes it easy to clean the appliance as compared to a traditional gas stove. Even if you spill something on the cooktop, the spilled food will fall on a cool surface as compared to tradition stoves, which makes cleaning a breeze. Cleaning the surface of a gas stove is a lot more difficult as the heat spreads making the surface hot. Induction cooktops are a safer option for cooking as compared to traditional gas stoves. The induction cooktop from renowned brands come with an overheating protection feature. So, in case you forget to switch off the induction cooktop, it will automatically switch off along with an alarm. A traditional gas stove, however, doesn’t have any such safety feature. Those were some of the differences between a gas stove and an induction cooktop. When choosing between the two, make sure you weigh the priorities, safety concern and also the budget before making the final decision. 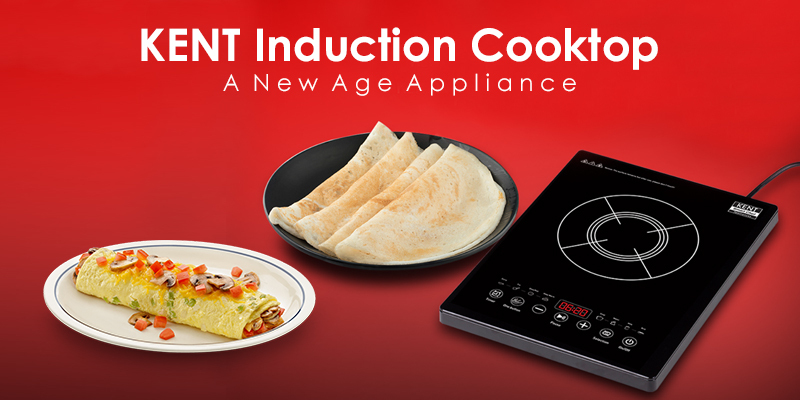 You can check out the variety of induction cooktops by KENT to find out more about the safety features and advantages.